the Health Secretary on the arts? Saturday 12 May 2012 Julian Lloyd Webber played at the Capitol theatre, Horsham, to a packed house. His visit to the town also gave Robert Mayfield and Martin Jeremiah, business advisor to the Trust, a chance to meet up with the Trust Patron. 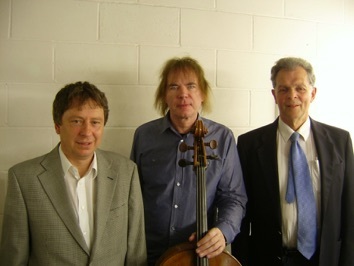 Martin Jeremiah, Julian Lloyd Webber, Robert Mayfield. The conversation naturally fell to the subject of the Horsham Town Hall and the legal actions by the Trust to secure this wonderful building for community use. It was during the conversation that Julian explained that he had been “delighted” to be Trust Patron in 2004 because he had played at the Town Hall in 1973 and had liked the acoustics! 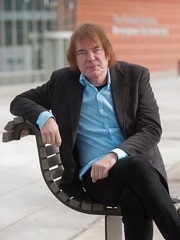 The Trust sends its warmest congratulations to our Patron, Julian Lloyd Webber on his appointment as the Principal of what is now the Royal Birmingham Conservatoire. It looks as though Birmingham is becoming a very exciting place to be. on the Julian Lloyd Webber/Patron page. 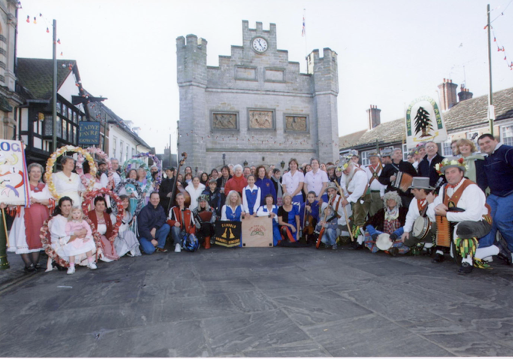 At least a hundred musicians of all types, shapes and sizes turned up on the morning of Sunday 25 November 2005 to show their support for opening the Town Hall as a Music, Folk and Community Arts venue. The supporters came from Horsham, Crawley, Worthing, East Grinstead, Reigate, Redhill, Chichester, Guildford, Dorking, Burgess Hill and Pulborough etc. 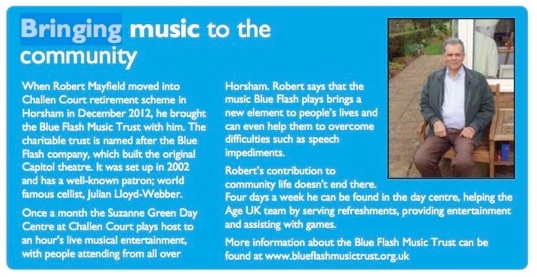 The Trust would like to see the Horsham Town Hall open to all types of music and artistic activities. and Local Giving, hence the donation buttons on the website. For more details on Jose Antonio Abreu go to Julian Lloyd Webber page. Robert Mayfield, Stuart Coupe and Dave Toye. In cases where other photographers have supplied the pictures, they have been credited. © All logos used on this site are either registered or copyright protected.